Our superior quality Man Cooler Fans range is manufactured with the best quality raw material and passes through stringent quality testing to ensure its premium quality and durability. 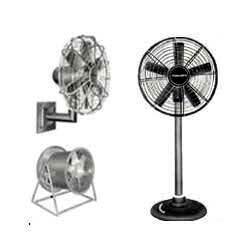 Our Man Cooler Fans are perfect for hot locations and provides good ventilation. Research is conducted by us to bring modification in our existing range and satisfy our customers with offering latest range.